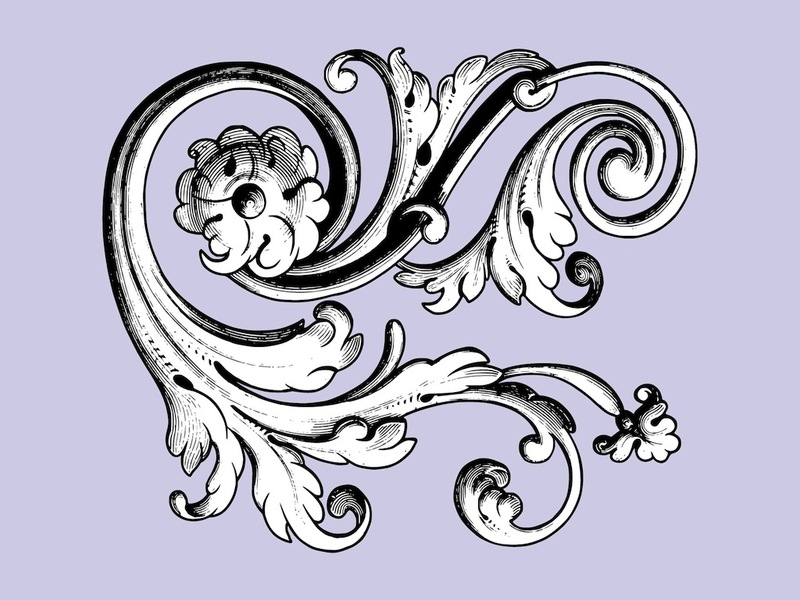 Vintage scroll vector graphics of a curved floral decoration. Detailed flourish with curving parts and hand drawn petals and leaves. Antique decoration to use in all your posters, greeting cards, wallpapers, background, clothing prints, tattoos and flyers designs. Retro flower for nature, floral and spring projects. Tags: Antique, Floral, Flourish, Leaves, Petals, Scroll, Swirls, Vintage.